Products – Thermal-Tech Systems, Inc.
SSD sheets are available upon request. 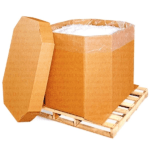 Ask us about Bulk Pricing and Shipping. Samples available. Request up to four (4) sample items for evaluation. Please email your request to weborders@thermal-tech.com. Looking to buy in bulk? Call or email us for bulk quantity pricing. Economical Paintable mold release requires no special cleaning. It will not interfere with part bonding, heat sealing, laminating, ultrasonic welding or post-decorating operations. You get perfect finishes every time and more cycles per can over other comparable releases. 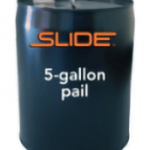 Get more cycles per spray, more cycles per can, with Slide’s Silicone high-quality, pure silicone-oil mold release. Keeps the most challenging parts from hanging up and stalling production. Extremely effective for injection and compression molding. Econo-Spray® 1 contains a highly effective, non-paintable silicone fluid in a non-chlorinated solvent carrier system. It will give an excellent release with all thermoplastics. EpoxEase is a synthetic wax-based, non-silicone release. 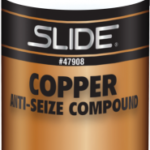 It is formulated to prevent the sticking commonly seen when using all-purpose release agents on epoxies, maximizing your productivity. Econo-Spray® 3 contains a highly effective non-silicone release in a non-chlorinated solvent carrier system. This product is highly paintable, and will permit ultra-sonic welding of molded parts. It affords excellent release of all thermoplastics. Effectively cleans molds at room temperature without wiping. It removes silicones, grease, oil and wax build-up on mold surfaces, etc. It leaves no residue. Its fast-evaporating formulation helps maximize the productivity of your operation. A dry, light, water-repellent powder, Zinc Stearate is economical to use and gives better finishes. Use it for polycarbonates, polypropylenes, polysulfones and rubber molding. Compatible with oil-based paints, its formulation results in fewer rejects and lower production costs. DFL is an excellent, fast-drying lubricant for injection molding where clarity and deep draw are important, especially with hard, brittle resins. It will not create “hydraulic effect” on deep drafted molds. Its “dry” formulation will not pick up dust or dirt and remains inert when exposed to corrosive reagents. Water Soluble Mold Release permits complete cleaning of molded parts. In most cases this release need not be removed prior to painting, hot-stamping or plating. Testing is recommended. Antistatic properties reduce dirt pick-up on molded parts. It’s all in the name….Polycarbonate mold release. Specially developed for polycarbonate resins, it will not interfere with part bonding, heat sealing, laminating, ultrasonic welding or post-decorating. Approved by SABIC for use with Lexan* resin. *Lexan is a registered trademark of SABIC. Foaming spray effectively removes oil and dirt marks from all plastics, even sensitive polycarbonates. Plastic Cleaner is ideal for cleaning plastic parts, and helps remove mold releases prior to secondary operations. Economical Silicone-based mold release. NSF registered formulation safe for food applications. Non-paintable. Dura Kote is a special air-drying release that will not transfer onto the molded part. It provides a dry, dust-free film on all hard-surfaced molds. It won’t discolor and is paintable when it is baked on. Resin Remover’s powerful solvents remove resin build-up without needing to remove the mold, minimizing downtime and maximizing production. Resin Remover will remove, strip and/or aid in the removal of many resinous plastics and gas deposits. Silicone Spray Lube Mold Release has thousands of uses. For paper and film converters, it fights sticking and glue build-up problems. 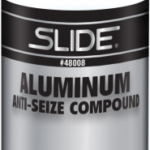 Use it on slitter knives, rollers, slide guides. For food processing, it eliminates sticky food buildup and speeds cleaning. Use it on heat sealers, ovens, guides, chutes, conveyors. For vertical blind manufacturing, it is an excellent lubricant for vertical blind tracks. Mold Saver Release Agent protect against corrosive flame-retardant and PVC vapors. Mold Saver neutralizes corrosive vapors while providing a thin, effective lubricating layer for a clean release. Spray it into the cavity regularly while molding to prevent deposits from forming and attacking the mold. Universal is just that, a broad universal release that can be used on all thermoplastics, even more sensitive plastics. It uses a non-silicone and paintable release oil. Approved as a direct food additive, Universal also meets certain requirements for molding medical products – contact us for details. Universal will not interfere with part bonding, heat sealing, laminating, ultrasonic welding or post-decorating. Molding electronic parts? Electronic mold release, with its paintable, non-silicone formulation, was developed specifically to not interfere with the electronic properties of molded electronic parts. It gives you the release you need and your maximizes productivity of post-mold cleaning. 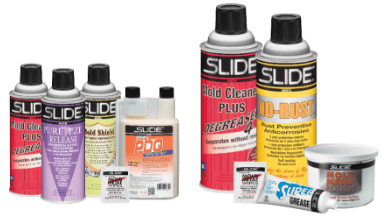 Slide Quick RP employs a combination of fast evaporating solvents and oils to set up quickly on your mold surfaces, providing immediate protection against moisture and light acids. This unique “dry” package makes clean-up quick and easy when the mold is put back into production, saving time and money. The red tracing dye allows for visual verification of complete mold coverage. Mold Shield has a unique, extra-dry spray package, which delivers a dry, non-penetrating mist into ejector pin holes, slides, cams and other moving mold parts. This special dry mist prevents marking of plastic parts when molds are put back in service. Silicone Remover is designed to replace organic solvents that are harmful to certain plastics, such as polycarbonates, styrenes and acrylics. A specially formulated wetting agent you mix with water, Silicone Remover removes silicone oil from molded plastic parts through repeated washing. The Silicone Remover cleaning mixture can also be added to an ultrasonic bath. Use PC on all metal molds to remove stains and discoloration. Formulated to be used on cold or warm injection molds, PC leaves a non-transferring, micron-thin film that reduces mold wear. Regular use of PC reduces the need for all types of internal and external release agents. P.D.Q. lets you purge quickly, easily and safely, and at a fraction of the cost of conventional purges for injection, extrusion or blow molding. It is the no-soak, no-mess, easy-to-store purge solution. P.D.Q. works with the carrier resin to remove all thermoplastics, and is effective for resin-to-resin and color-to-color changes. It requires no soaking, maximizing production up-time and eliminates the need to keep “cracked acrylic” purging resin inventory. Its unique self-measuring bottle “meters out” just the right amount of concentrate, eliminating waste. LMR is a non-silicone, fully paintable mold release. It is non-crazing and will not interfere with part bonding, heat sealing, laminating, ultrasonic welding or post-decorating. There is no build up on mold surfaces and minimal migration. Acid Vapor Neutralizer is formulated to protect stored plastic molding dies from corrosive attack by hydrochloric and hydrobromic acids, as well as most common atmospheric corrosives and fingerprint acids. Length of protection is dependent on amount of PVC and flame-retardant being molded. Bring on the heat. Hi-Temp 1800 is the perfect partner to maximize productivity with high-temperature resins. Formulated with Boron Nitride, Hi-Temp maintains its lubrication integrity, helping maximize productivity. It is also an excellent release for die-casting of low melting point metals such as lead, zinc and aluminum. The ideal mold cleaner for use while in production. On/Cycle works on warm molds up to 150°F and easily removes releases, oils, greases and many resinous build-ups before they can become a problem. Made from citrus oils, it destroys odors, leaving a pleasant orange scent. The E/S mold release formula is a breakthrough in lubrication. 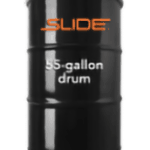 This E/S formulation contains silicone oil. Effective in many applications, especially on molds 212°F and above, it is an excellent “wet” silicone lubricant for many applications. It’s a great mold release for environmentally conscious companies. The E/S mold release formula is a breakthrough in lubrication. Specially formulated for most injection and compression molding and some flexible and semi-urethane foams, it is non-silicone, fully paintable and non-crazing. It will not interfere with part bonding, heat-sealing, laminating, ultra-sonic welding, painting and silk screening. Ideal for metalizing and hot stamping. Quick Silicone mold release is ideal for parts that are a little more challenging. It dries quickly and imparts a smooth, dry film so you can start molding immediately. Quick Silicone is food-approved for food machinery. Quick Paintable mold release imparts a smooth, dry film, drying quickly so you can start molding immediately. Quick Paintable release will not interfere with part bonding, heat sealing, laminating, ultrasonic welding or post-decorating. Quick Lecithin imparts a smooth, dry film so you can begin production immediately. Lecithin is food-approved and paintable. Non-silicone formula will not interfere with part bonding, heat sealing, laminating, ultrasonic welding or post-decorating. N.P.T. solves the major problem of removing stubborn residue between color or resin changes. It consists of concentrated purge pellets that react chemically to heat, quickly and effectively cleaning machinery without extra soak time, excess downtime or lost productivity. 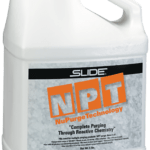 The resulting purge is so effective that even resin deposits accumulated over long periods are often removed the first time N.P.T is used. Mold & Metal Polish safely removes plate-out, oxidation and stains on fine tooling surfaces quickly and cost-effectively. Ideal for all types of molds, dies and fixtures, it restores surface finish, while providing a high, luster sheen. The polish has proven effective on steel, stainless, aluminum, brass, bronze, beryllium, zinc, powdered metals and other materials used in injection, blow, extrusion, compression, and rim molding. Thermoset mold release is made with synthetic carnauba wax, the most effective formulation for molded thermoset plastics, rubber and similar materials. 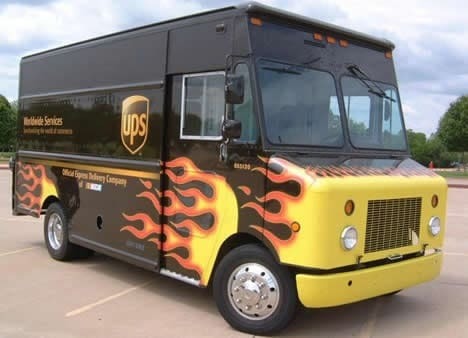 It stops parts from sticking, maximizing your productivity. It is ideal for injection, compression and transfer molding. Econo-Spray® mold cleaner quickly removes silicones, grease, oil and wax build-up on mold surfaces. It is also good for clean-up of non-operating electrical equipment and degreasing on machinery. Safe on solvent-sensitive plastics. This mold cleaner meets certain CFR citations as being safe for use on food machinery. Pure Eze is a white, oil-based, food-approved release ideal for medical and food applications. Use Pure Eze with all thermoplastic resins, polyolefins, polycarbonates, rubber and some epoxies. It is colorless, odorless, tasteless and will not change color over time. Urethane mold release is extremely effective for all polyurethanes: rigid, semi-rigid and flexible urethane foams. Urethane mold release imparts a light, dry coating on the mold, eliminating build-up. Yet, it is so effective that it continues to work for several cycles between applications. Fast, convenient, pre-saturated sheets quickly clean almost any surface. * Use for preparing molds for production or storage; touch-up cleaning during production; surface prep prior to secondary operations; and general maintenance and all-purpose cleaning. *Pre-test on non-metal surfaces. NEXGEN is the most extraordinary cleaning product available. Formulated purely from citrus & vegetable products, it is so much more than other “natural” cleaners. Use it for oil spill clean-up and remediation, dewaxing, removing mold release and degreasing. Citra Cling is an excellent cleaning agent that clings to even vertical surfaces. Superior clinging action allows for maximum cleaning. Water-based cleaner is safe to use on painted surfaces and plastic parts (pre-testing recommended). Knock Out is the mold release that works where others have failed. It gets “sticky parts” cleanly out of the mold and is approved for indirect food contact. Knock Out mold release imparts a light, dry coating that is amazingly effective, working for several cycles without re-application. Slide White Rhino Rust Preventive wraps your mold in a tough, protective second skin. It’s ideal for plastics processing for food applications. Fast-drying formulation sets up quickly to protect immediately against moisture and light acids. Self-cleaning in startup. KnockOut is NSF registered as safe for use on food machinery and molds. KLENZ is a revolutionary purging compound requiring no mixing or preparation time. With operating temperatures of 330º – 610ºF, KLENZ thoroughly cleanses hot runners and the barrel, helping to eliminate color streaking and black specs. Formulated with a polyolefin resin carrier, KLENZ purging compound is safe to purge right through the mold, saving time, material and money. All ingredients are GRAS rated so it is safe to use for food packaging applications. For use with injection molding, extrusion and blow molding. 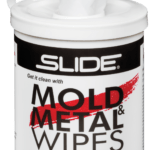 Slide(R) Mold Cleaner Plus Degreaser 4 contains no chlorinated solvents and provides a convenient method for removal of silicones, grease, oil and wax build-up on mold surfaces, etc. without the need for wiping. Ideal for cold molds, it leaves no residue so it cleans without wiping. It has a fast evaporating formulation, is non-conductive and non-abrasive. This mold cleaner is NSF registered as safe for use on food machinery and molds. Purge-Atory is a revolutionary heavy-duty purging compound. Recommended for use with gas emitting resins such as Delrin & Acetal. Requires no mixing or preparation time. Operating temperatures of 370º – 610ºF. Formulated with a SAN resin carrier, Purge-Atory purging compound is safe to purge right through the mold, saving time, material and money. All ingredients are GRAS rated so it is safe to use for food packaging applications. For use with injection molding, extrusion and blow molding. 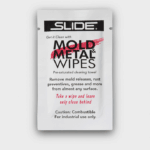 SLIDE NFC Mold Cleaner is a powerful, non-flammable (no flash point) metal cleaner that contains no chlorinated solvents. 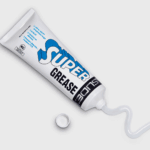 It thoroughly removes greases, silicones and other contaminants and is an excellent solder flux remover. 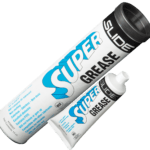 Slide(R) IPA Cleaner contains no chlorinated solvents and provides a convenient method for removal of silicones, grease, oil and wax build-up on metal surfaces. Fast-evaporating solvent leaves no residue so there is no need for wiping. It has kosher-approved ingredients. IPA is California VOC compliant (74.9% VOC) and non-corrosive. Also used as a sanitizer, IPA has hundreds of cleaning applications. New Econo-Purge quickly, economically and effectively removes old resin and color residue in extrusion, injection and blow molding operations. With operating temperatures of 330º – 610ºF, Econo-Purge also works on hot runners and thoroughly purges manifolds with gates as small as 30 thousandths. 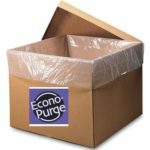 Compared to competitive compounds, Econo-Purge emits little if any odor during purging. This concentrate contains 35% silicone solids. Silicone emulsions are advantageous for applications requiring lubrication, gloss, antistatic, protective and release properties. Should be diluted down with additional water to a more usable ratio. Investment Wax Casting Release allows you to consistently remove the most intricate wax patterns. One application provides multiple releases leaves parts with a superior surface finish. 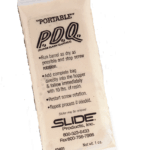 Silicone-based release agent. An ideal lubricant for the front half of ejector pins (pins in forward position), this almost dry lubricant minimizes the possibility of leaching out onto molded parts. 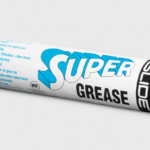 Use in combination with application of Super Grease on back side of ejector pins. Stable at temperatures up to 450°F. Heavy-Duty Mold Release and Pin Lube can be used on plastics, rubber, waxes, glass-filled nylon and similar materials.